My name is Vanessa Pollard and I am a wife and mother. Those two words define the whole reason I exist. 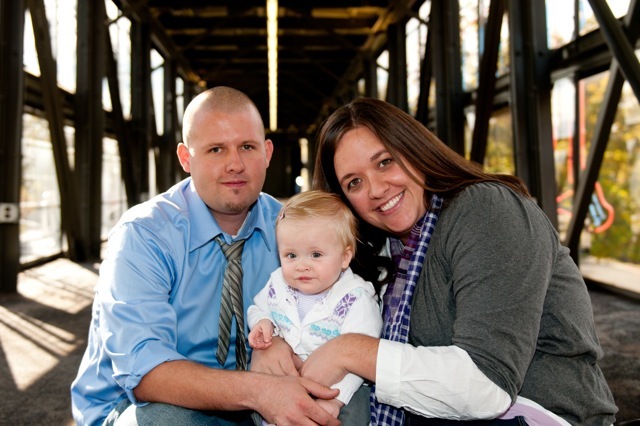 Me, my husband Steven, and 19 month old daughter Layla live in Sandy, Utah where we love every last bit of where we live and the people we surround ourselves with. I came across your blog through another blog of an angel mom. Your emotions and your words coincide with everything I feel in regards to loss. I have found a kindred spirit in the way you talk to your sweet Lucy. My husband and I married and started trying for a family a year into our marriage. We found out pretty soon in that we were going to be climbing an uphill infertility battle. After both being diagnosed with fertility issues, 2 miscarriages and the premature birth and death of our son due to a cervical issue we were devastated. Some women may say their faith helped them through. That was a large part of my desire to continue to battle the powers keeping me from being an earthly mother, but honestly I think the majority of it was my stubbornness. I wasn't going to let death win. We were pleased to find out we were expecting twin girls, but after 22 weeks (4 in the hospital on strict bed rest) our daughters were born a day apart and both lived 2 hours. How could this happen? Why does my body not want to be a mother? Why am I even more alone than I was before? I felt like the cup that had my spirit in it was being drained every time I was grieving another loss. I don't know if I can say I gave grief an appropriate time to come and go sufficiently, however I wanted, desired and had to be pregnant. I had to beat the statistics. December 4th, 2009 a beautiful baby girl named Layla Mae was born a month early, but perfect in every way. Blonde hair, blue eyes and tiny tiny tiny. I was always a mother, but not like this. Not like what she made me. What that passage through heaven and my body into this world did for my spirit. It filled my cup. We are now in a stage of life when we are deciding how to incorporate Adam, Cayla and Marley into Layla's life. How do we teach her about the sacrifices her older brother and sisters made so she could be here with out making her worry about death? I would love to hear how you have kept Lucy in your home while raising a very active little boy. I love your blog. I love the charitable work you are doing with the headstones for families. I just love the Jackson family and the sacrifices you are making to make the grief process a topic that is more freely discussed. Thank You. Vanessa thank you so much for sharing your story. I hope I have enough of the faith/stubbornness that you have. Today I have been wondering if I will be an earthly mother or if I am destined to just be a mommy to angels. Then I read this and I know that somehow I will continue on. I love the sweet picture of your twin girls. They are beautiful, thank you for sharing it with us. I'm in awe... My aunt suffered the death of a daughter and twin sons (each living a couple hours) before giving birth to a healthy daughter and then a son. She had Vanessa's stubbornness. I don't have that... I tend to crumble under circumstances like these. God Bless those who carry on... Wishing great joy and happiness!!! I lived across the street from Vanessa and her older sister but moved in 8th grade and have not seen either of them since. the minute I pulled up your blog I took one look at Vanessa and knew exactly who she was and went straight to facebook to find her and her sister! wow, I love the internet!!! Vanessa is one of my closest friends. She is such an inspiration to me. Each one of her children are so beautiful. Thanks Molly for honoring her on MMRM. I truely love your blog. It may be stubbornness, but i think it is faith too. I cannot imagine how you have felt or how brave you have needed to be. I'm so happy for you to have your beautiful daughter. Your story touches my heart. I'm happy and thankful. Nice meeting you Miss Vanessa. YOU have been through more trials than any one person should ever have to go through. I am so glad you have your little Layla. I understand your concern here. There is a fine line between honoring your children in heaven and not having your earthly children feel like they can never live up to the love you feel for your heavenly children whom they have never met. You are a strong family, I'm sure you will come up with the right balance for your precious girl. 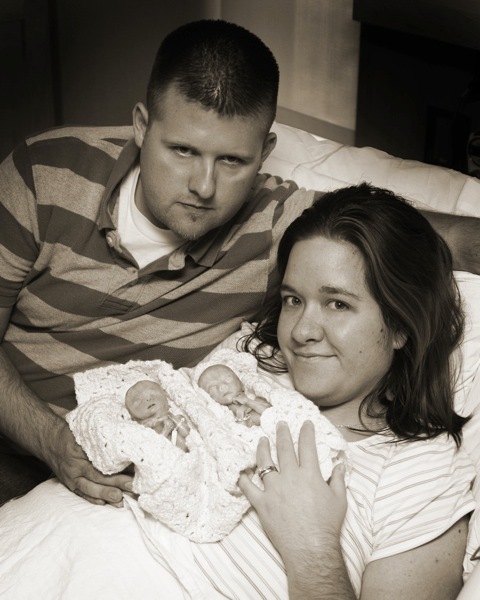 Vanessa, thank you for sharing your story and your picture of your twin girls. What a heartbreak. I am so sorry for these losses you have experienced.